If you like travelling or trekking, then this post is for you. People climing Mount everest, Mount Fuji or any high altitude places will be carrying a oxygen cylinder to overcome headache and nausea. 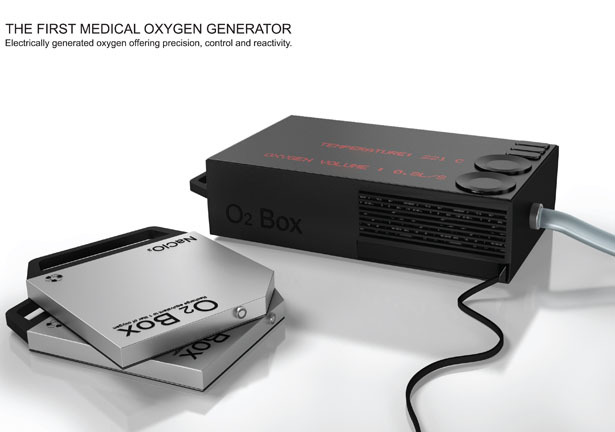 As you climb up the oxygen content in air will become less and will lead to many problems. Oxygen cylinders which usually people carry will be of small in size and have less capacity. 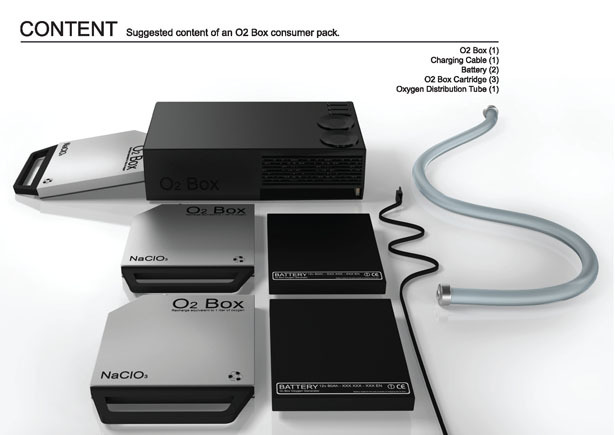 They may not last longer.To over come this O2 Box was introduced. 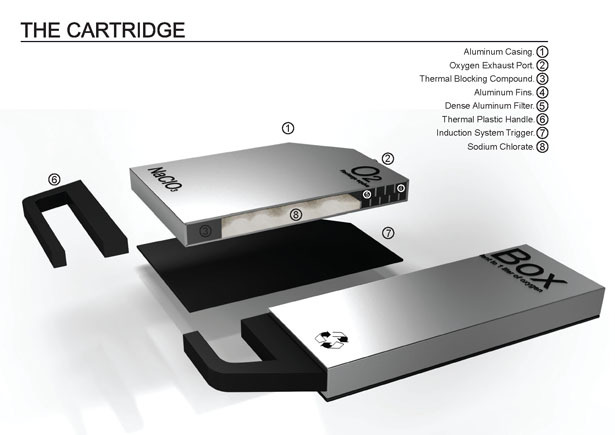 As an alternative to oxygen cylinder, adding some technology to increase the durability and efficiency, designer La Seconde dApres has come up with a system based on the fusion of sodium cholorate that generates oxygen by utilizing a thin replaceable cartridge combined with an induction processing to trigger chemical reaction through heating. 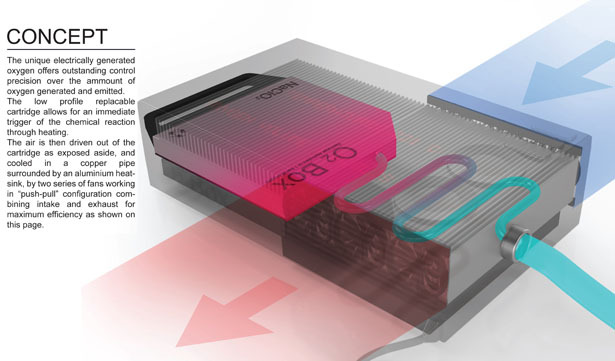 This induction process offers a maximized contact zone for the thermal reaction,thus making it extremely reactive oxygen-centred. 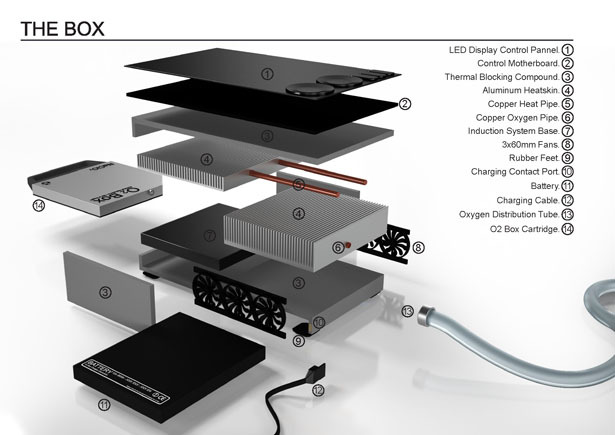 If you feel these details are more technical just forget it. 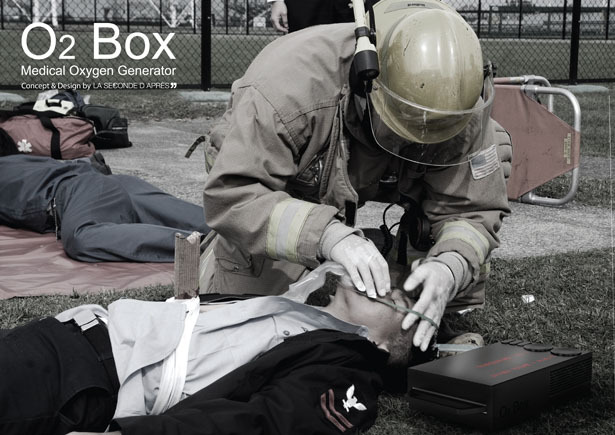 Just remember that his O2 Box generates oxygen with chemical reaching inside it. It can be used whenever it is necessary.